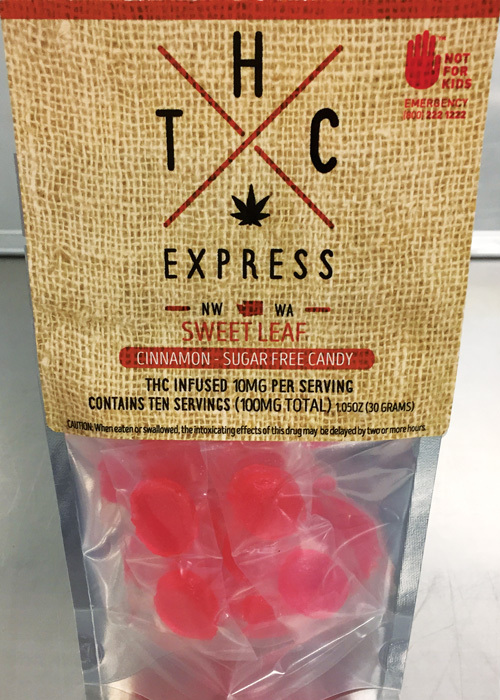 THC EXPRESS edibles are made with real ingredients and infused with dairy butter that provides a smooth lasting high. 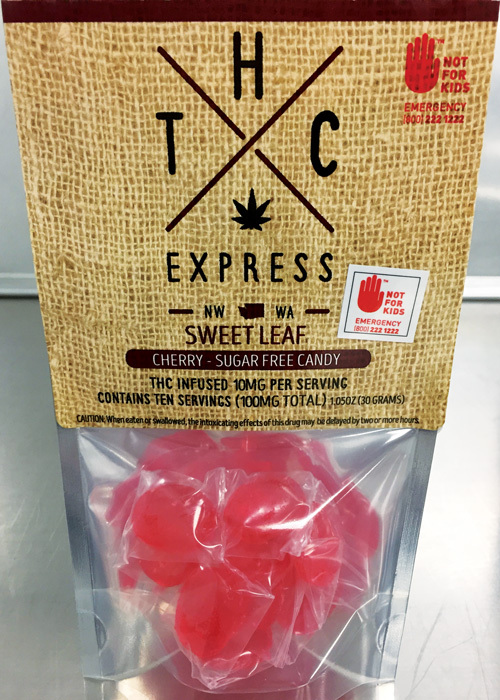 Cannabis is purchased from only top notch producers with a clean growing environment. Our center runs a strict clean kitchen employing local talent in a new and exciting industry. Keep up with new products coming out on our web site. Touched with Fleur de sel, a fine sea salt. 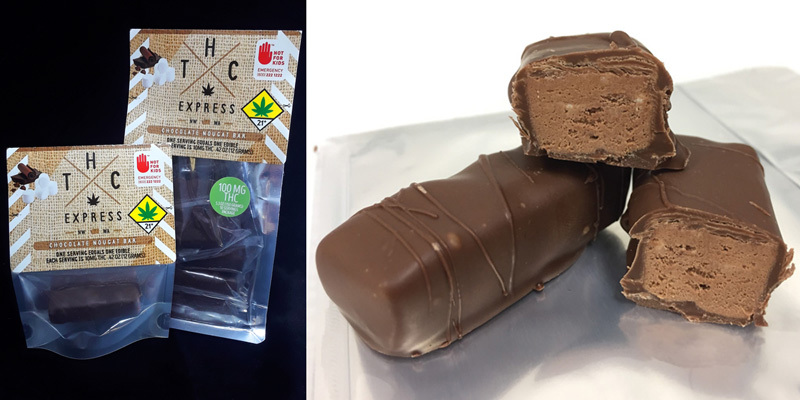 A peanut butter crunchy center infused with sweet cannabis butter dipped in fine chocolate. 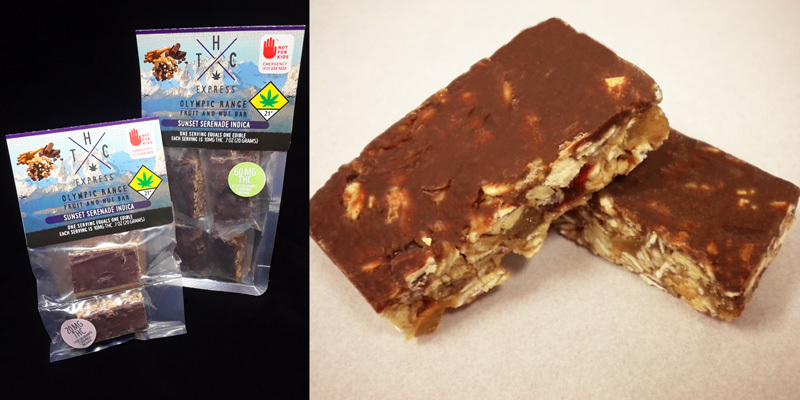 Biting into chocolate and reaching the heart of this infused edible is an experience to keep living for. If you like chocolate and peanut butter this will be your absolute favorite. 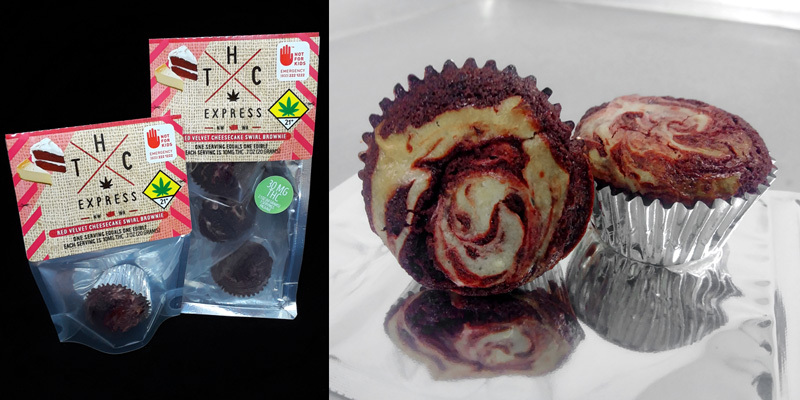 A chocolate brownie infused with cream cheese and the sweetest cannabis butter. The same divine taste experience as the full size version of this cake in a bite size brownie. Delicate mint cream surrounded by luscious chocolate. 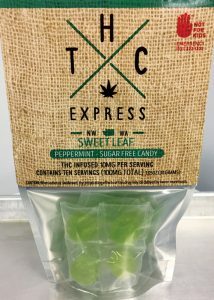 Take a trip with Pattie and refresh your mind when you bite into this luscious chocolate mint infused with sweet cannabis butter. Get drawn into sweet bliss with a coffee and vanilla cream swirl cookie. 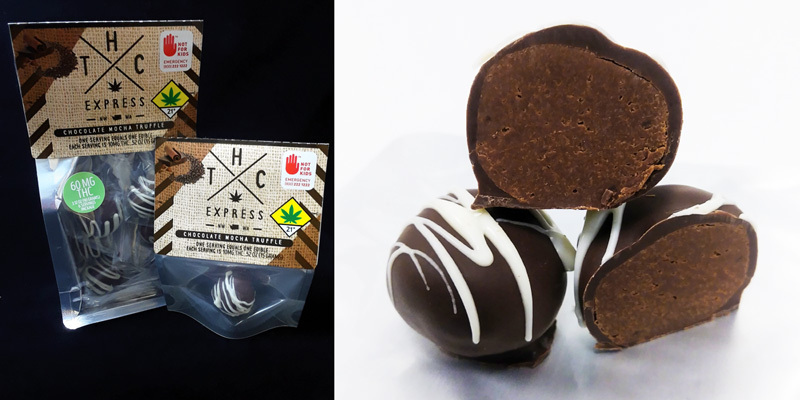 A velvet nougat center dipped in chocolate and infused with rich cannabis butter. Great with a cup of french press coffee! Infused mocha cream filling wrapped in chocolate. This isn’t your typical caramel. 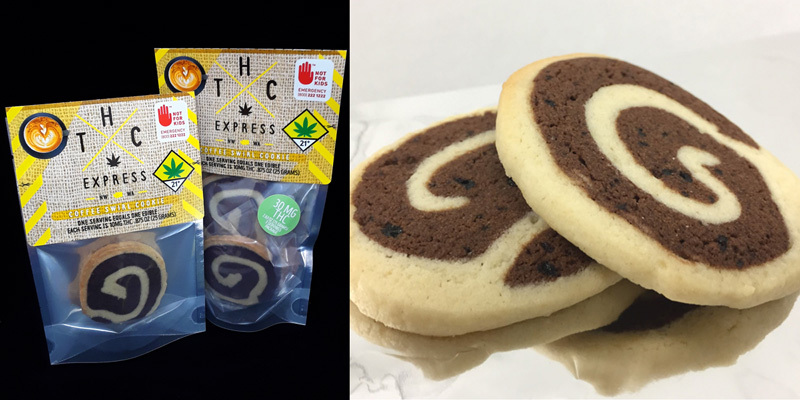 We blend rich cream and real butter infused with the sweetest cannabis on the market. Dipped in Dark Chocolate and sprinkled with chopped almonds, these caramels melt your mind and don’t stick to your teeth. A classic rich smooth butter cookie with a touch of orange zest, dipped in dark chocolate. 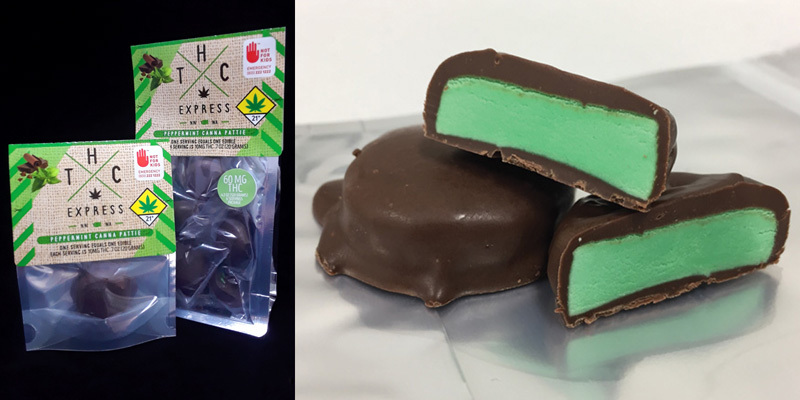 This cookie melts in your mouth. Cut to seasonal shapes. 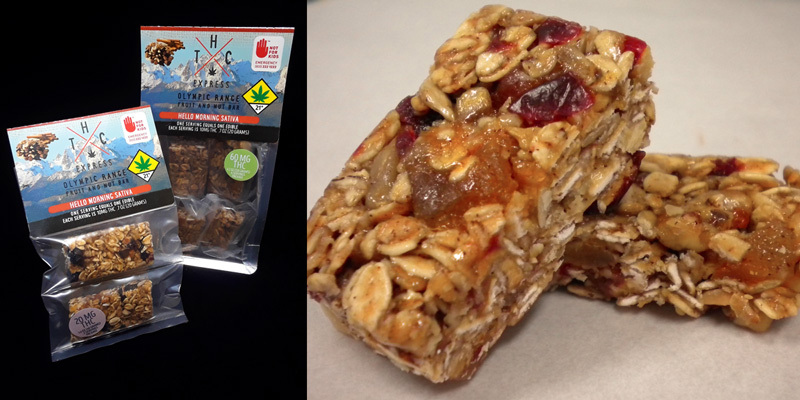 Hello Morning Sativa Bar is packed with energy in mind. 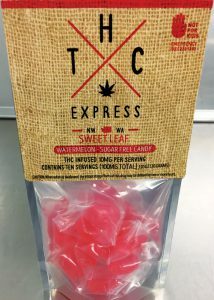 Sativa strains of cannabis extract combined with wholesome ingredients include; Honey, Cranberries, Apricots, Dried Ginger, Oats, Sunflower seeds and almonds. Goodness in every bite. Sunset Serenade Indica is packed to relax. 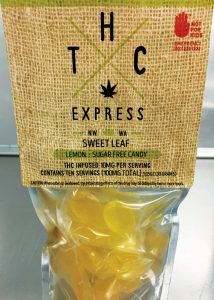 Indica strains of cannabis extract combined with wholesome ingredients include; Honey, Cherries, Apricots, Almonds, Walnuts, Sunflower seeds and Bittersweet Chocolate. Relax and enjoy the sunset. Nougat fluff recipe using white chocolate and flavoring. 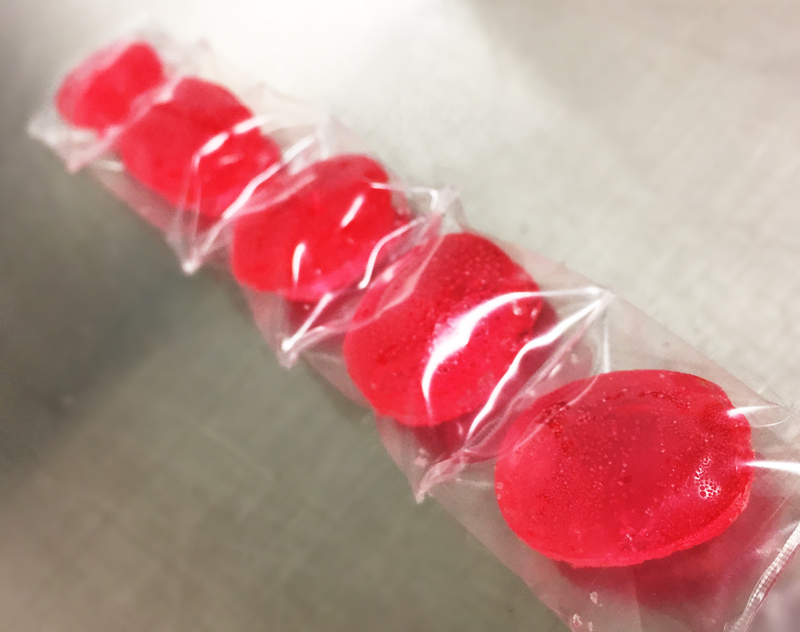 These undipped soft chews elevate your taste buds. The flavor mixed bag will include: Raspberry Creme, Green Apple, Tutti Frutti, Pina Colada, and Keylime. 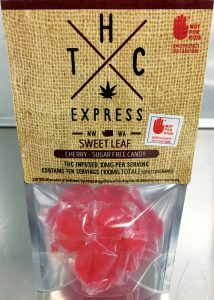 Watermelon, Cherry, Lemon, Cinnamon and Peppermint infused with locally sourced hash oil makes this candy extra special. 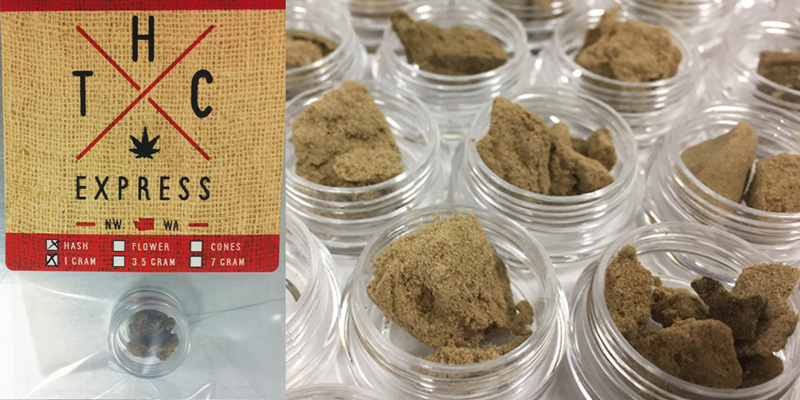 Rich in CBD, non-psychoactive strains are currently studied for their ability to help with arthritis, inflammation and in some cases help the body to heal faster. Reduce discomfort from sore muscles and inflammation. Camphor, Menthol, Rosemary, Eucalyptus, Tea Tree, Cinnamon, Ginger, Clove Bud and Peppermint combined with organic coconut oil. 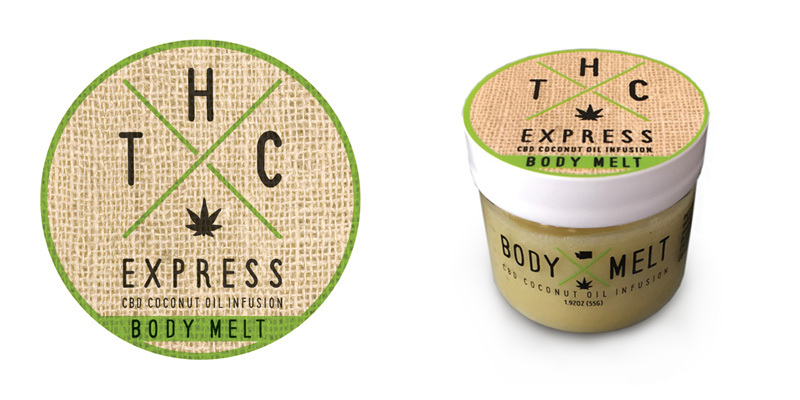 Body Melt has a pleasant fresh scent and a cooling affect on the skin. Use Body Melt with an application of heat for maximum absorption. 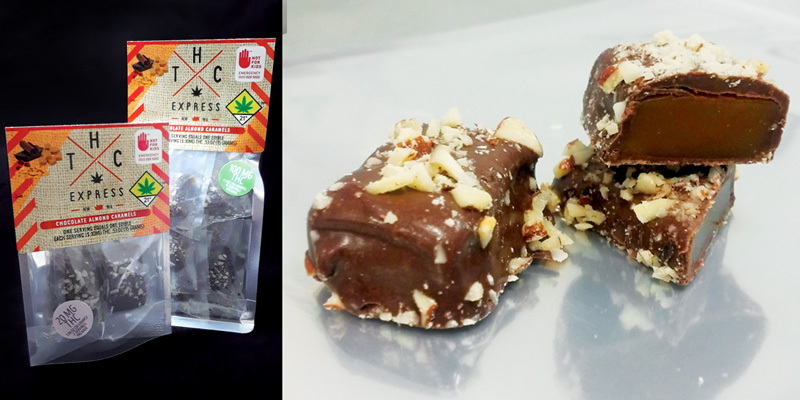 High quality cannabis strains high in CBD infused into sweet almond oil. 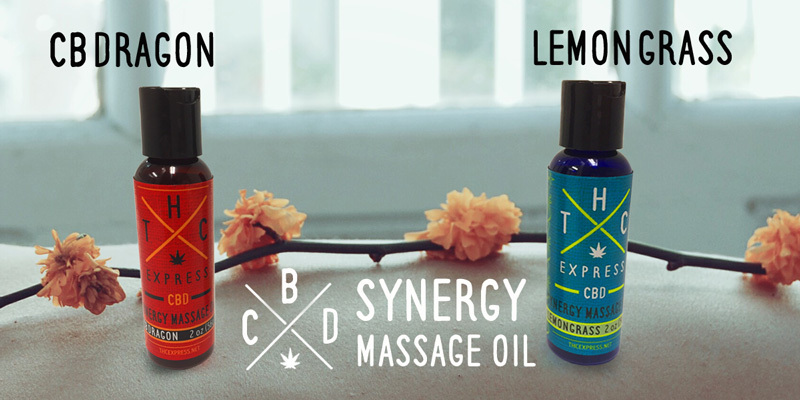 Castor Oil and essential therapeutic grade essential oils selected for their medicinal value are combined with the CBD infusion to give the power of touch an extra push to healing. 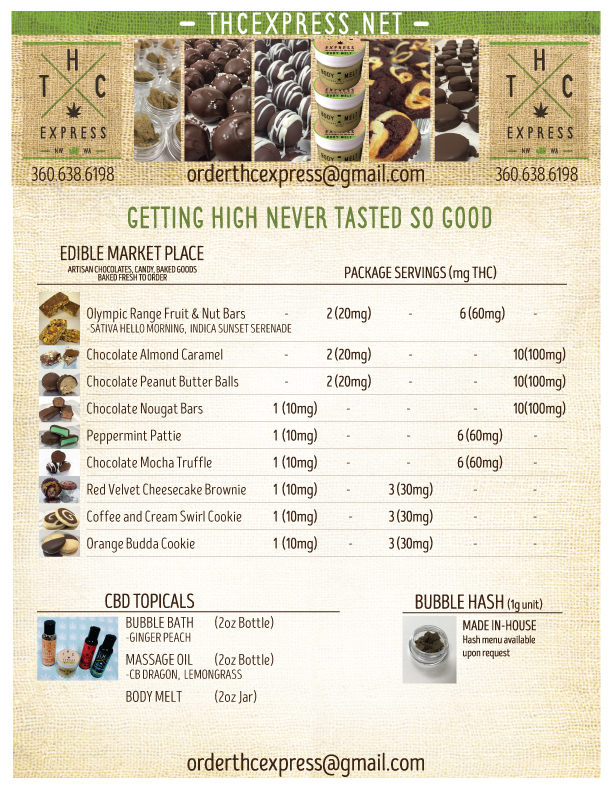 Select from LemonGrass or CBDragon Oils. 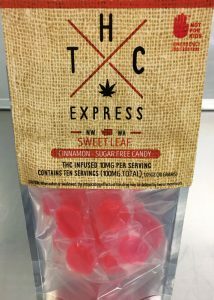 High quality cannabis strains high in CBD infused bubble bath for those needing to soak instead of toke. 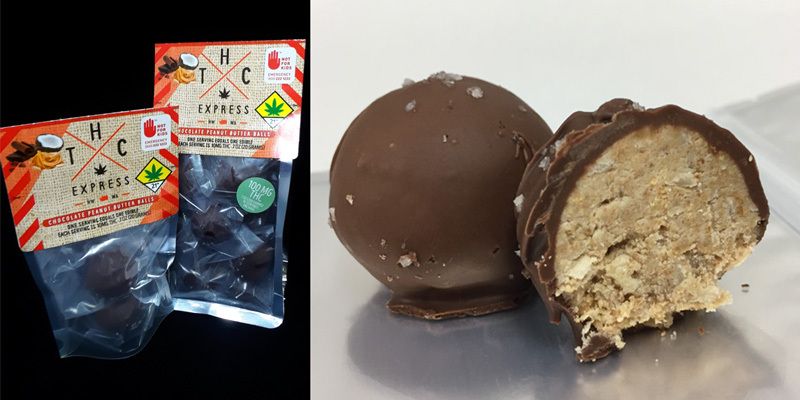 THC Express produces HIGH quality bubble hash in-house our own commercial kitchen. Test results are always available on any THC Express product. Nougat fluff recipe using white chocolate and flavoring. These undipped soft chews elevate your taste buds. The flavor mixed bag will include: Strawberry Creme, Root Beer Float, Green Apple, and Tooty Fruity. 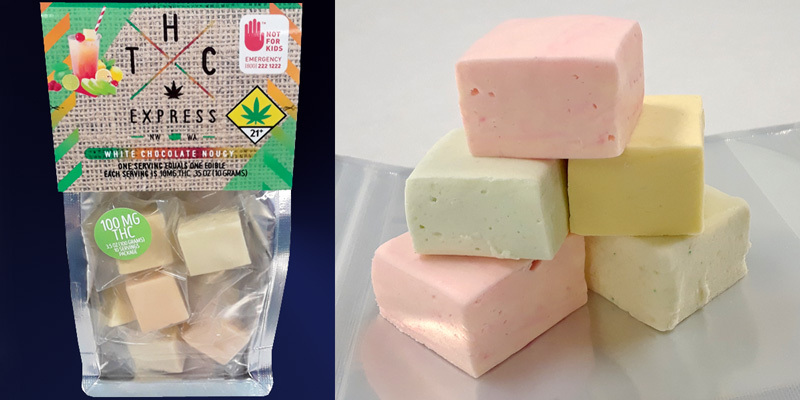 CAUTION: These products are infused with marijuana or active compounds of marijuana. 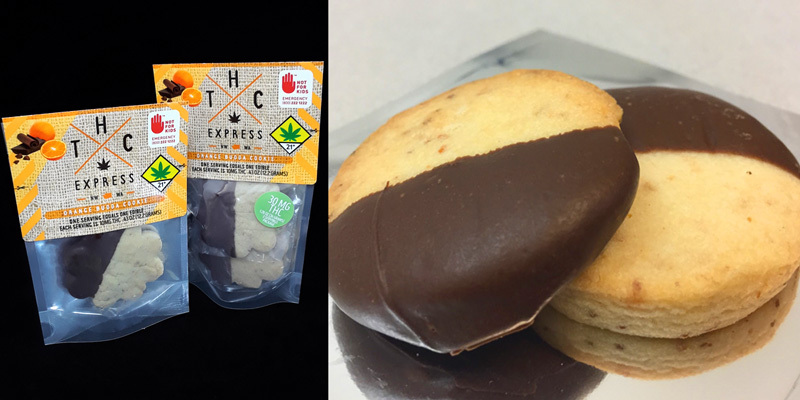 Products containing marijuana impair concentration, coordination and judgment. Do not operate a vehicle or machinery under the influence of this drug. Please be responsible and keep out of reach of children. 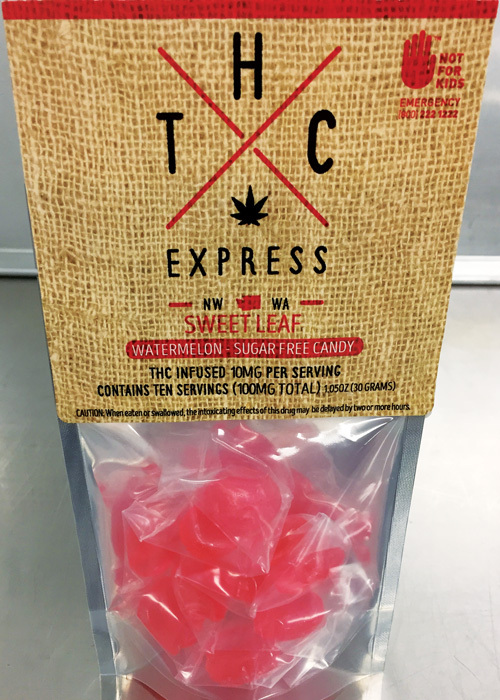 Infused products are for adults 21 years of age and older. 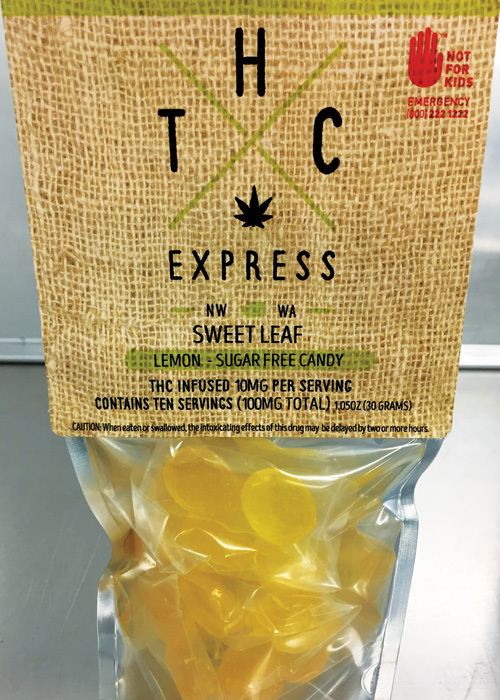 @2016 - Thc Express. All Right Reserved.